The Rawlinson Swivel Recliner features individually placed nailheads, brown bomber jacket style microfiber cover, sinuous spring support base and kidney back support and swivel rocker recliner motion. 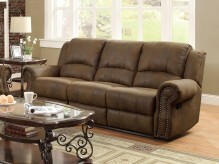 The Rawlinson has it all, comfort, style and durability to give your living room the perfect traditional style. 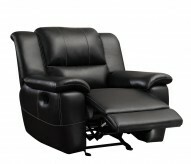 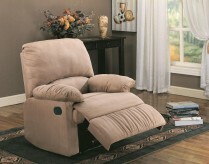 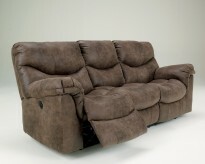 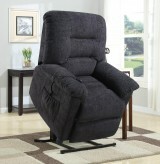 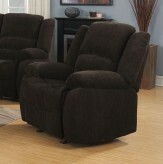 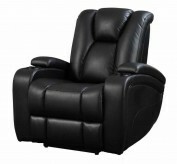 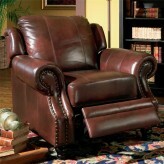 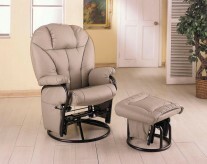 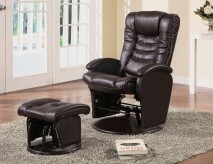 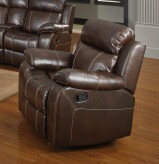 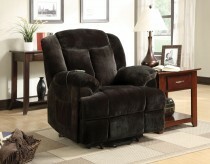 Furniture Nation is proud to offer the Rawlinson Swivel Recliner online. 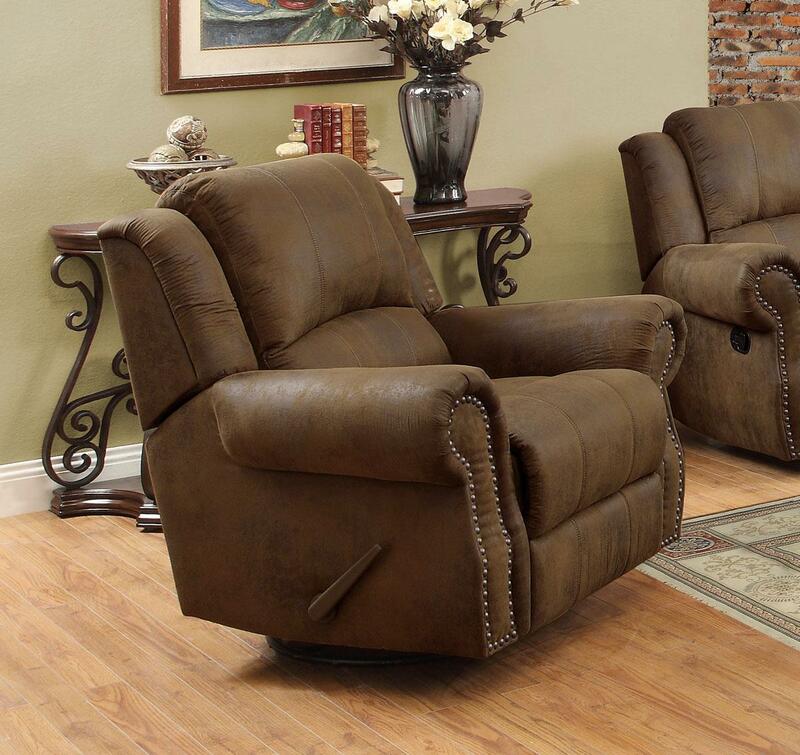 We serve customers across the DFW region including Grand Prairie, North Richland Hills, Denton and many more. 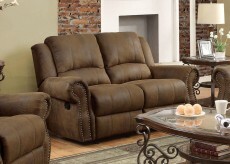 L68" x D34" x H31"